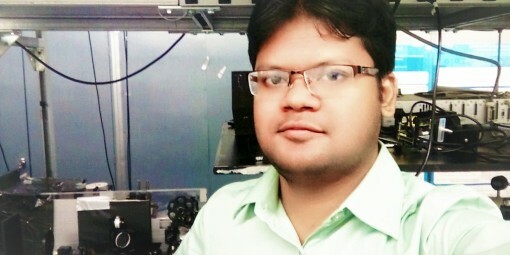 Mehedi Islam obtained his Bachelor of Science with distinction in Electrical and Electronic Engineering in November 2014 from Islamic University of Technology (Bangladesh), defending a thesis titled “Parameter Optimization of Optical Materials and Investigation of Surface Plasmon Polariton (SPP) Propagation in Plasmonic Waveguides”. In April 2016, Mehedi joined at the l’Institut National de Recherche Scientifique – Énergie, Matériaux et Télécommunications (INRS-EMT) as a Master’s student, under the supervision of Prof. Roberto Morandotti, where his research project is devoted to “On-chip quantum optical random number generators”. Bourses d’Exemption des Frais Majorés pour les Étudiants Étrangers de l’INRS , Varennes (QC), Canada. Islam, M. N. Islam, M. Islam, M. G. Saber and R. H. Sagor, “Optimization of Lorentz model parameters for crystalline AS2S3, SiC and modified Lorentz model parameters for nanocrystalline SiO,” Lasers and Electro-Optics Pacific Rim (CLEO-PR), 2015 11th Conference on, Busan, 2015, pp. 1-2. doi: 10.1109/CLEOPR.2015.7376137. O.Yaakobi, M.Clerici, L.Caspani, F.Vidal and R.Morandotti, “Complete pump depletion by autoresonant second harmonic generation in a nonuniform medium”, Journal of The Optical Society of America B (accepted).